Just in: Speaker of Delta State House of Assembly impeached – Royal Times of Nigeria. 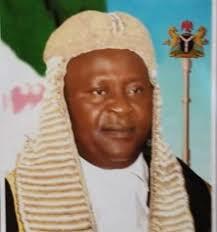 The speaker of the Delta state House of Assembly, Mr. Monday Igbuya has been impeached. He was removed on Thursday morning. Meanwhile, the lawmaker representing Okpe constituency, Sheriff Oborevwori was elected as the new speaker.